The race begins with the green flag. The checkered flag signals that the race is finished. Do you know what the blue flag indicates? A blue flag with a diagonal yellow or orange stripe informs a driver that a faster kart is approaching and that the driver should move aside to allow one or more faster karts to pass. 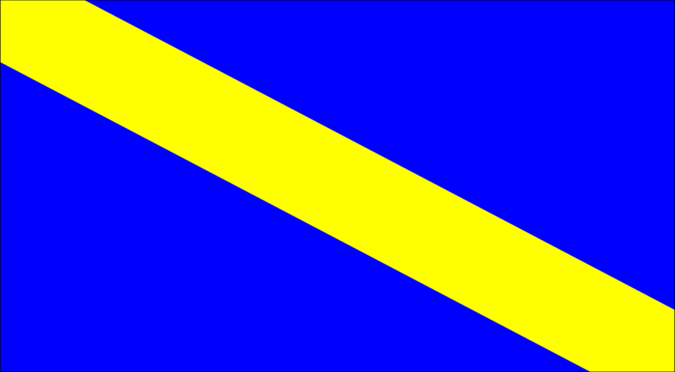 Although the blue flag is not mandatory, drivers should obey it as a courtesy to their fellow racers. As such, we often refer to it as the “courtesy overtaking flag” here at Need 2 Speed. Be courteous to your fellow racers when you see the blue flag. Remember, at Need 2 Speed we race for the best lap time, not position. If a racer has caught up with you, she already has a faster time and your allowing her to pass will not affect your position in the final race standings.